Bath on Ice, Royal Victoria Park, Bath. 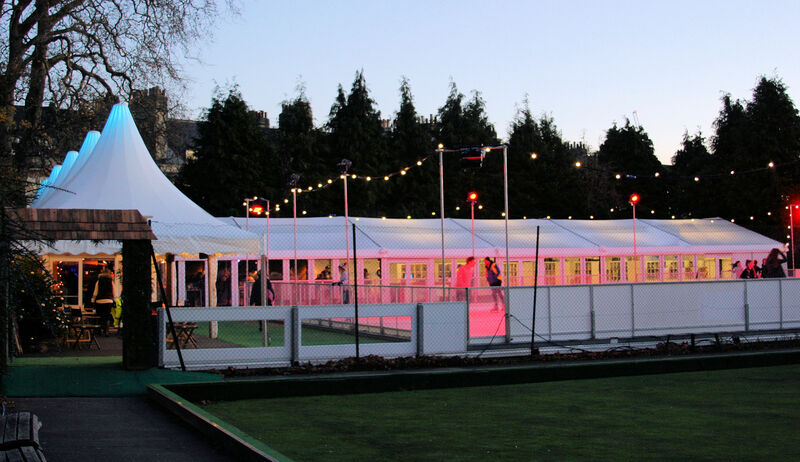 Located in the beautiful Royal Victoria Park, a perfectly central location for access to Bath’s famous tourism spots, the placement of the rink will allow a high footfall of customers. 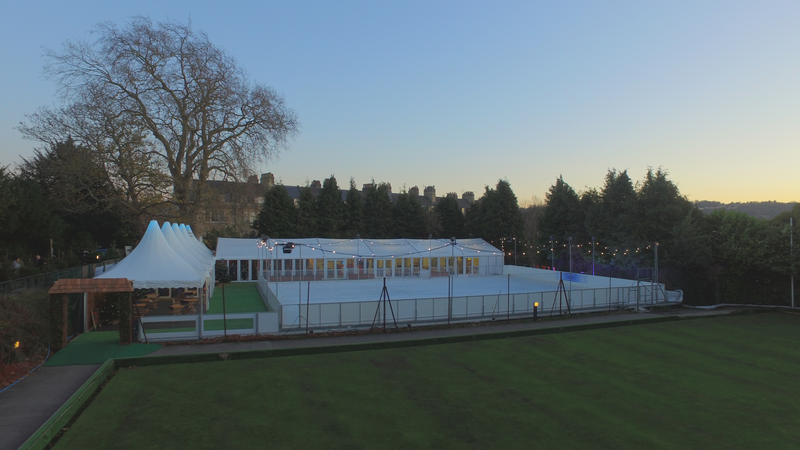 The management team contracted Icescape to provide our real ice technology for the rink installation and to supply a marquee structure to house the skate exchange and a café/bar area. 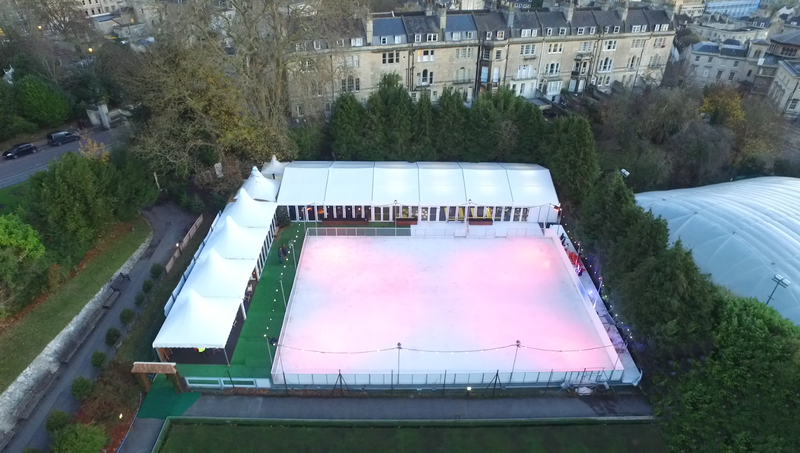 Our rink at Bath on Ice measured 1000 sqm, which has now doubled in size since our first rink installation in 2016. The large ice rink allows over 300 skaters on the ice during each session and to maintain the large ice-pad, we supplied one of our gas-powered Olympia ice resurfacers. Danco supplied two marquees for the duration of the event. 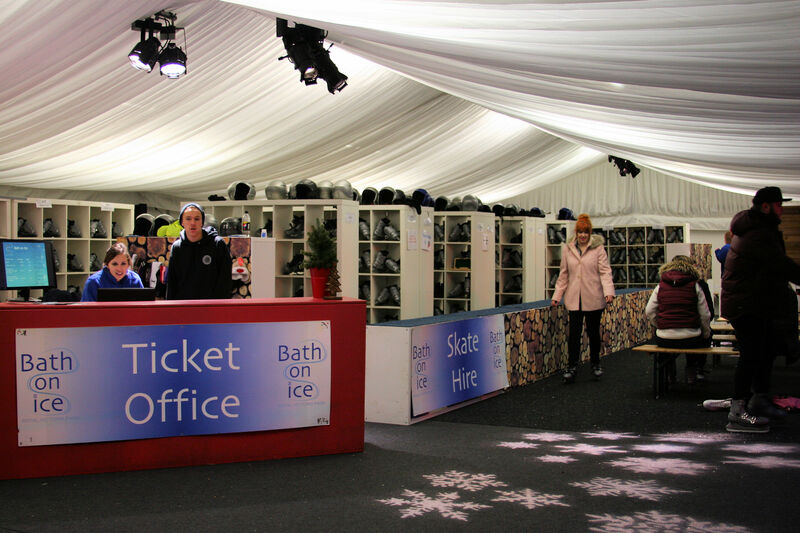 The first was placed along the side of the rink; a 30m long clearspan marquee containing the skate exchange where over 650 skates were supplied by Icescape. 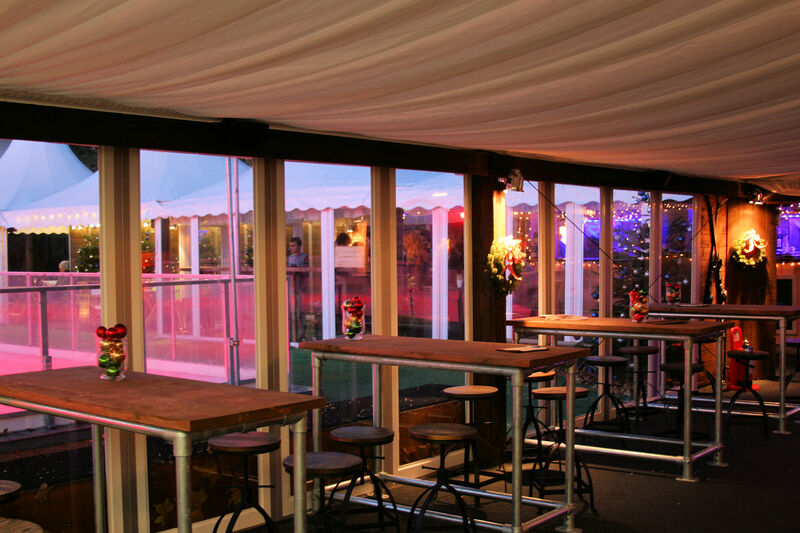 Linked to this was another 30m clearspan structure, which contained a bar, pizza kitchen and some ‘Alpine chic’ style seating areas. 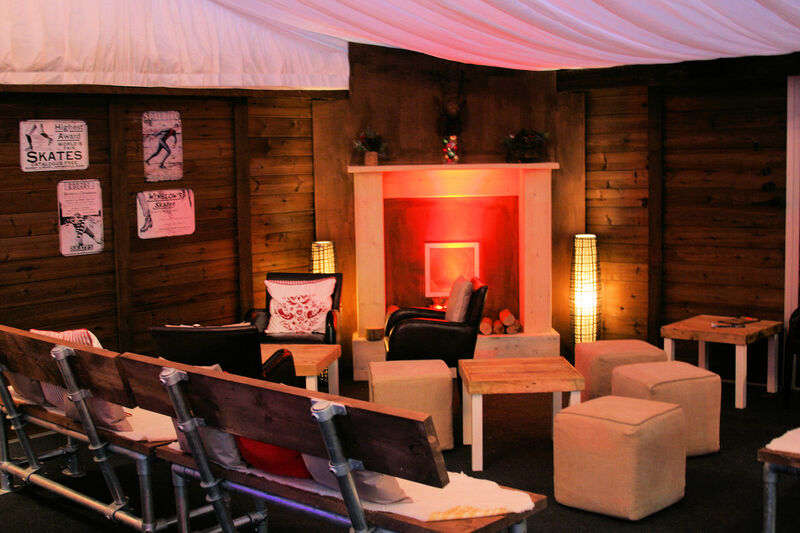 The event space, complete with both glass and wood wall panels tied together to look brilliant. In just under two weeks, the project was completed. Due to the nature of the location, our build crew needed to skillfully use a telehandler to manoeuvre equipment on to the tennis court. Our experienced & knowledgeable teams handled this difficult site efficiently and on schedule. Using the Danco drone, we managed to capture some fantastic shots at various angles of the rink. We also have a drone video highlighting the rink (click here).